Grand Prize Giveaway 10 of 10 for Madison's 10 year Smodversary Giveway! Re: Grand Prize Giveaway 10 of 10 for Madison's 10 year Smodversary Giveway! Chainsaw and gloves. Throughout the entire process alright. If you can find an abandoned home it would be great. Slit the throat and flush out the blood first. Then chainsaw your way into smaller parts bit by bit. Dump it all down the sewer. You can also burn it all away. Blend both ideas! Drain blood, pull teeth, chop into pieces, feed, desperate teeth fragments. Jfc you guys are darker than I thought. Remind me not to piss you two off lol! Congratulations on 10 years of efficient modding and dedication to the community :). Wouldn't be where it's at without you and the other super mods. @Unphased - I would think if you could climb trees, going to various state forests quite a distance apart, carving a nook high into a tree and depositing a portion there. That way birds could get rid of it in time, as would decomposition, and being high up the scent wouldn't be as easily carried to the ground floor. I used to think of things like this, lol. Congratulation to everyone and Madison. As the years go by, a lot of changes happens in Ragezone new people enters and a few old members leave. I am really truly grateful that I was a member of Ragezone and I was able to see people like Wyk become an icon of DotA or Nocturnal own a MU server that still on this day runs and still even growing larger in number and even expanding its network for more servers to come. We're not getting younger, most of the people before who plays MIR, Maple Story, Mu Online are probably already working full time jobs that has no time anymore getting on Ragezone or for some they have already moved on from the site. So to see people who grew up visiting this site still active and enjoys engaging creating threads and conversations. It shows that Ragezone isn't just a site for games and devs, but also a place to make long lasting friends. Congratulation to all and more years to come for everyone especially for Madison! This sounds awesome thank you for sharing! I have seen a lot of people go on to do some pretty awesome things as well. Great times! things definitely change when you get older, but some stay the same. I am surprised how some of the friendships have lasted and saddened by a few that faded. but no regrets. Thank you to everyone who participated. I can't tell you how much it meant to me for all of you to participate in my little stroll down memory lane. Here is to making more memories in the future. Who knows what will happen. @HeavenlyGifted is the winner! 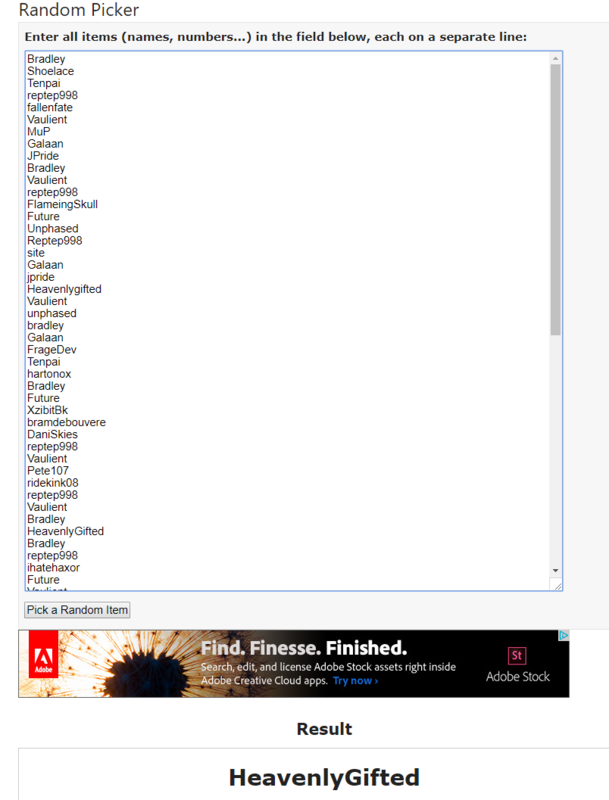 I am sending you a PM right now so we can figure out what game key you want! HeavenlyGifted ended up with Fallout 4 and Fallout 4 Season pass: retails together for like $70 but I found some deals to make it about $35. I am considering something for the people who entered daily. Will get back on that this week. Yeah Im giving @retep998 and @Bradley an extra key for participating in each day. i think its a nicer game too. Last edited by Madison; 17-11-17 at 08:44 PM.